Position as one of the most important places in Turkey , Eskisehir , training centers, libraries and museums has become a cultural center thanks to the … The density of population in this province is young , hot springs and historic structures is remarkable . 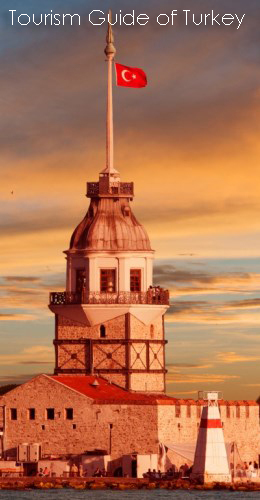 Marmara , Black Sea and Central Anatolia region and located at the intersection of Eskisehir meerschaum recognized by the entire world , developed industry , tourist attractions and recreational facilities is gaining more importance with each passing day . Eskisehir, can be visited in all seasons . Due to the presence on the busiest roads in this city, life continues in every month of the year . Especially in spring and fall , green areas are very relaxing … In the spring, Eskişehir vicinity of larger settlements in the surrounding nature walks and picnics is possible to see that … Again, wake up from hibernation in the spring revival of nature and animals , can lure interested in photography . Located at the intersection of the three regions is easily accessible by rail and road to Eskişehir . Istanbul – out Bilecik Ankara, Afyon, Konya province as most of the area of the right way to train, suffers from Eskişehir Station . Every day from Istanbul, the Bosphorus and the Capital moving trains taking passengers from Eskişehir . Eskişehir road transport is also very easy … Certain flies to all major bus companies in Eskisehir . Pamukkale, Kamil Koc, Uludag ‘s offices as well as firms in Eskişehir . Eskişehir – a total of 330 km from Istanbul to Eskisehir -Ankara is between 233 km ‘s . Eskişehir forested areas , spas, a privileged city … Break the fountains of green areas , roadside restaurants and picnics in the countryside where you can come across . The city is very famous spas … Sakar supported Ilica a tourist facility , 32 kilometers north of the province is located. Hasırca good for skin diseases recognized by the waters of the hot springs , a healing center near Badger Dam … HAMAMKARAHİSAR HAMAMKARAHİSAR spas in the village is known as the cure of various diseases . Yazılıkaya the Midas Tomb of the area’s important historic ruins … In Yazılıkaya Phrygians, Lydians and Persians rest of the underground passages , inscriptions have been found . Which is an important element in the history of Eskisehir ” dervish culture” can meet at the Museum of Yunus Emre . Various structures remaining from the Ottomans , and show various stages of Islamic architecture in terms of interesting … Sheikh Edebali Tomb, Tomb of Seyyid Battal Gazi , Leaded Mosque in the city of browsing may be of interest to visitors . The town of Eskişehir , Nasreddin Hodja has the distinction of being the birthplace . Sivrihisar born teacher, then emigrated to Anatolia . Today you can visit his house in Sivrihisar . History of the city who want to know more about the idea , you can also visit the Museum of Ethnography . Visitors staying in Eskisehir prefer fish and local dishes . Near almond meal in restaurants and homes find regional dishes . Various types of kebabs , to reflect local cuisine are offered . Beginning in summer Sakarya open almost 24 hours at the site you can find fish restaurants . Especially those who travel by car stays in the area and can enjoy a delicious lunch . Hand-woven carpets and rugs , glassware featured products you can find in Eskisehir … International Festival held in the city during Meerschaum , meerschaum is used and where you can see how much is open to creativity . If you want to buy souvenirs to close Seydişehir can also pay a visit , Nasreddin Hodja trinkets you can find in the market , you can choose from . Eskisehir Bazaar Tradesmen ‘s largest shopping mall you can find every type of textile products . Eskişehir Army Market, the city’s most in-demand New Karamursel Store shopping places . Eskişehir’s night life, live more in the period in which the university is open . Imagine Istanbul’s famous attractions of coffee-house has a branch office in Eskişehir . For university students in Eskisehir , a lot of bars with live music in vogue. Capella, Escape, such as tequila bars attracts visitors who love the nightlife . Musaoz Pond surrounded by forest , in the event of a popular recreation center … Plateau Çatacık the famous fountain and trees embracing the sky … Çatacık in forest partridge, rabbit, wild duck, bear, wild boar can be hunted . Have lived in the area for deer hunting ban . Badger Creek and the fish are hunting in the Sakarya River , river cruises are made. Kutahya , Istanbul , Izmir, Ankara. » Location: Eskisehir Province in Central Anatolia Region is Mihalgazi county . » Transportation: Eskişehir 33 km . away. » To heal diseases: diabetes , obesity , gout, diseases like elements accumulated in the blood , clears the way sugar and fat , urinary excretion of excess uric acid , making would be an obstacle to the growth of kidney stones .